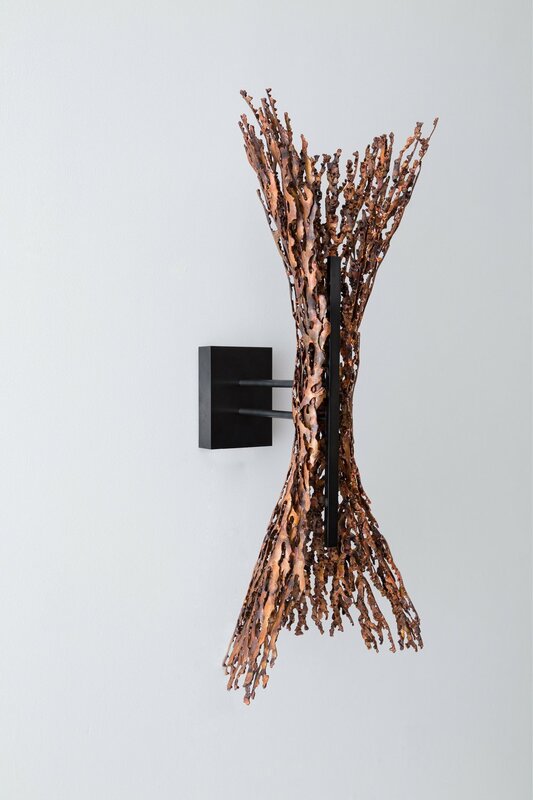 The Burnt Copper Form Sconce makes a bold statement. 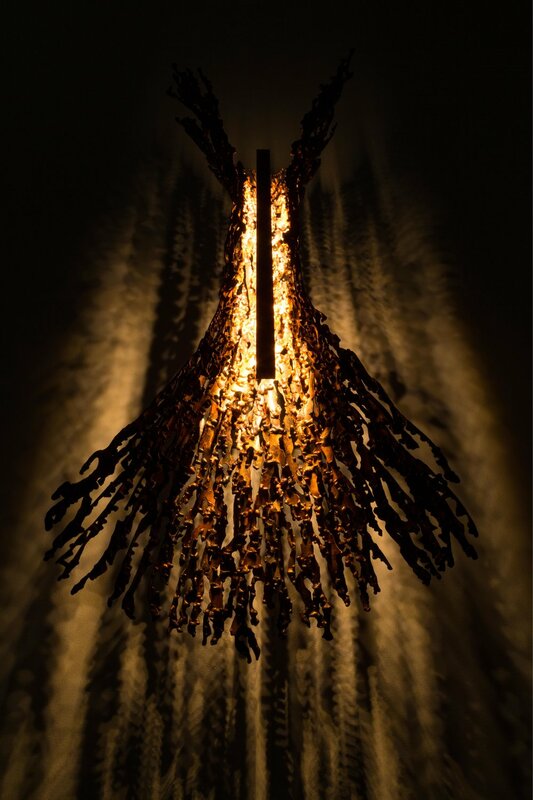 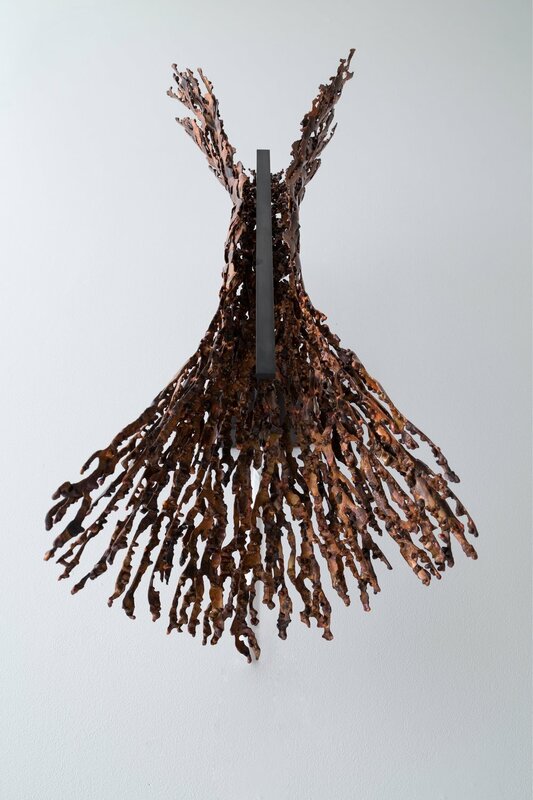 The body of the light is hand assembled from heat-formed copper pieces into a dramatic flaring shape that has the organic quality of something found in nature. 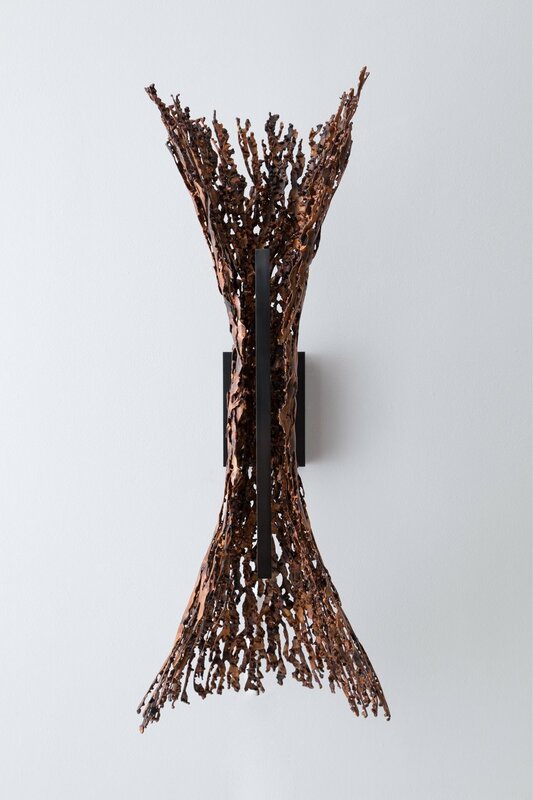 The meandering edges and varying thickness of the individual pieces contribute to a unique and engaging artistic form. 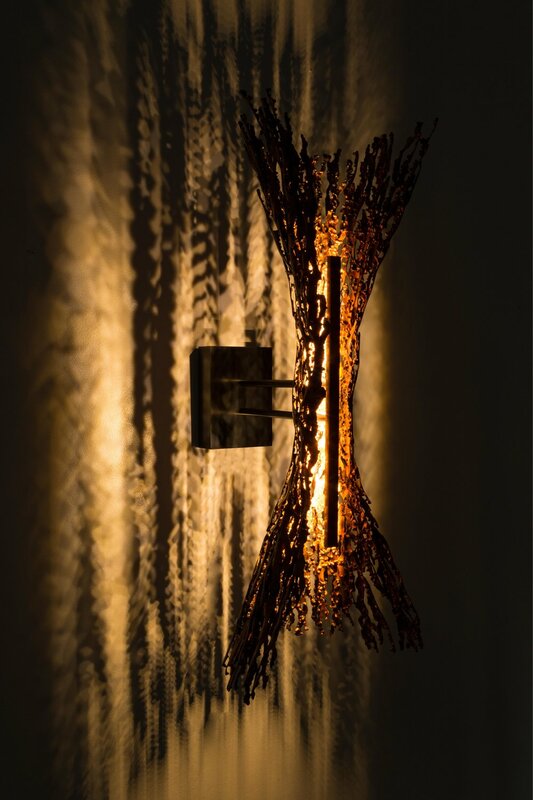 The light casts dramatic shadows onto the wall creating a beautiful and varied ambient effect. 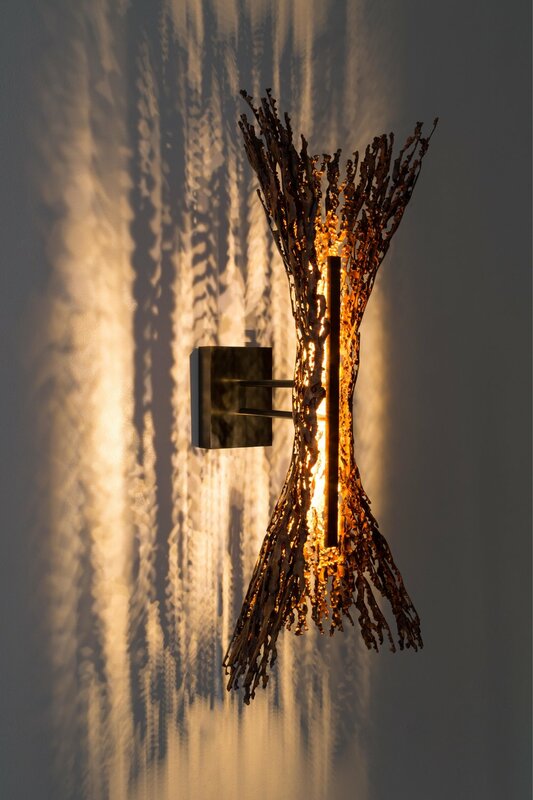 The illumination highlights the beautiful variation in color and texture of the copper. 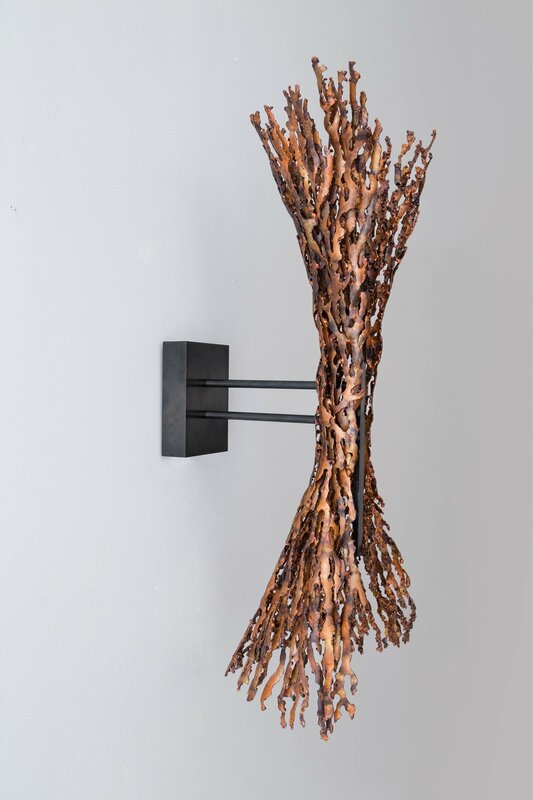 The raw color from the heat coloration lends a rich warmth to the piece. 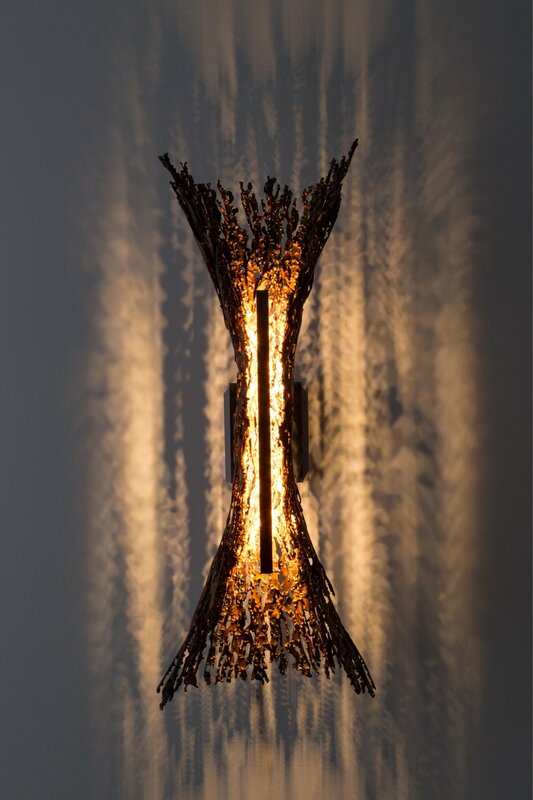 Can be installed in a vertical or horizontal orientation as a sconce or as a ceiling fixture.